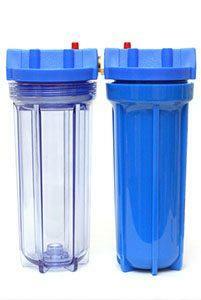 Are you looking for a water filtration system? Most people are unaware of the water impurities flowing from their pipes mostly containing antibiotics, chemicals, microorganisms, and runoff from farms, etc. All of these impurities can have a bad impact on anyone’s health but could be prevented with a whole water filtration system. You don’t have to live with the effects of hard or contaminated water. Sea R.O. Watermakers offers various water softening and filtration solutions to keep your tap water fresh, clean, and delicious keeping you and your family healthy. You can rely on Sea R.O. 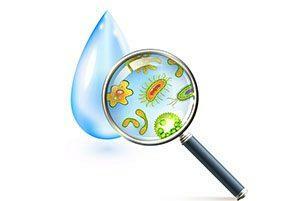 Watermakers for your water filtration and water softening needs. Our experienced technicians know how to get the installations done with excellent results. Home and business owners from around Florida and out of state have been trusting and using our water filtration systems for many years. 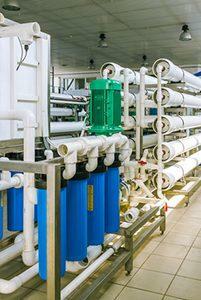 We offer affordable water filtration solutions for both residential and commercial areas. Our wide range of watermakers and water filtration systems can improve the taste, safety, and purity of water for you and your family, as well as your employees and customers. Furthermore, we regularly maintain and service your water filtration equipment to keep the water clean and fresh throughout the year. Our water filtration systems filter your tap water to provide a continued supply of clean and fresh drinking water for an affordable rate. We combine the latest water filtration technology and equipment to help ensure that you will be free of unpleasant water tastes, color, odors, and contaminants. At Sea R.O. Watermakers, we can install water filtration system attached to a water cooler, or under your sink as per your desire. If you choose the under-sink water filtration system, then the filtered water will be dispensed from a special tap installed on your sink. And if you go for a filtration system plumbed to your water cooler, then the cold water will be dispensed at the push of a button. Either way, you can rest easy knowing that you will enjoy clean and refreshing taste you deserve. At Sea R.O. Watermakers, we take pride in our work, and we always encourage our staff to look for ways to form long-term relationships with our customers. We use custom approaches in our services, thus offering a different service experience to our clients. We are strongly committed to customer satisfaction because we want to become your number one choice the next time you are in need of water filtration systems. Click our gallery of products HERE or call us for any more questions 954-527-5282.